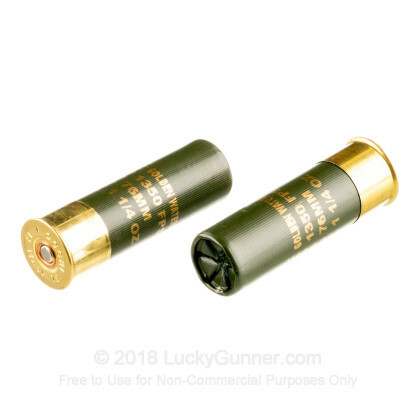 Lead-free shot is a must-have when hunting in wetland areas. 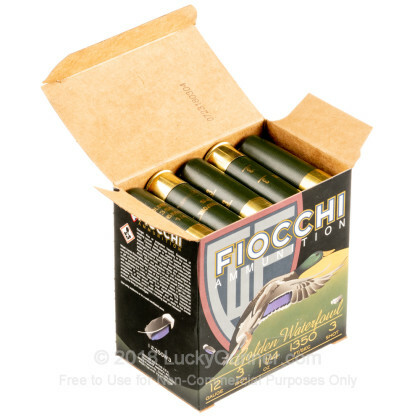 These 12 gauge shells from Fiocchi fire a 1-1/4 oz. load of #3 steel pellets at a high muzzle velocity of 1,350 feet per second. 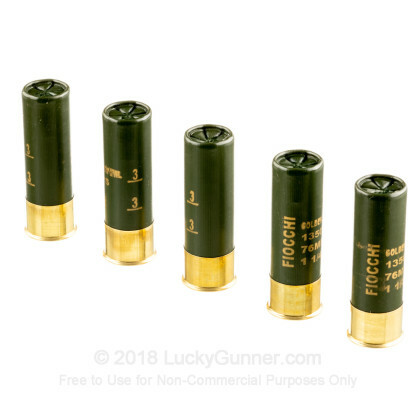 They are optimized to produce dense patterning to down your targets and use a wad that helps protect your gun barrel when the shell is fired. 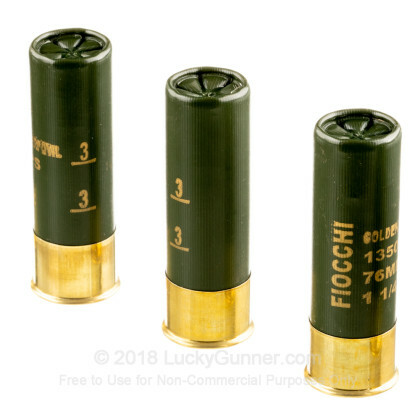 Steel shot is typically loaded to produce higher velocity than lead shot because steel is lighter than lead; all else being equal, it would be somewhat less effective for hunting purposes. A high-velocity load will deliver more energy to the target. For steel shot, this is an essential component of achieving a quick, clean kill. 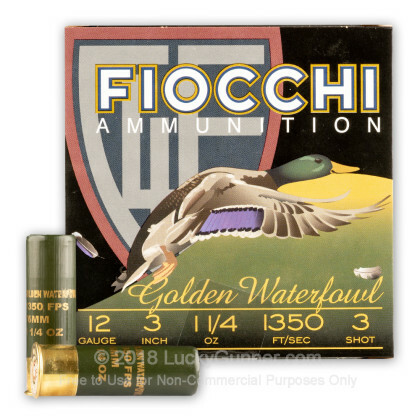 Most Fiocchi ammunition sold in the US, particularly shotshells, is usually loaded at Fiocchi of American in Ozark, Missouri. Some also comes from the company's worldwide headquarters in Lecco, Italy to help satisfy high demand. 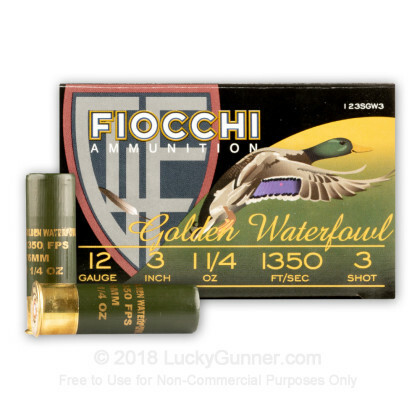 No matter where they're made, Fiocchi ammo delivers quality and cost-effective shooting!